Why Can’t Islamists Be Happy? (2 of 5) – To Muslims in the EU, America & other Free societies. You can now find the answer. – Wake Up! Wake Up! Now, back to the question – Why Can’t Islamists Be Happy? Answer, because they are taught to hate, resist and fight. Hate infidels, non-believers, anyone not a Muslim, to include heretics, that is Muslim heretics. Hatred is a vile cancer. It infects the heart and the soul. It is readily triggered. A comment, an ill-timed rebuke, a drawing or cartoon can ignite the fire of hatred that smolders within the human Muslim cavity whose mind is reminded in their Madrases, mosques and by activist peers and scholars they are Muslim and what that must mean. As if standing before the hearth with a poker in hand, the slightest disturbance to the countenance of the Islamist will justify a thrust. His right hand tightly gripping the shaft of the poker, his veins rising, a stab into the resting ashes will attempt to ignite what lies below. Here are verses from the Quran (paraphrased) that provide the constant din of a battle cry. Sura 2.120 – Make no friend of the infidel. Sura 2.190-195 – Fight those who resist Islam. Kill them. Stop when religion is only for Allah and there is no persecution of Muslims whatsoever. Sura 4.36 – Be good to your neighbor, do not love neighbor, until the time is right. 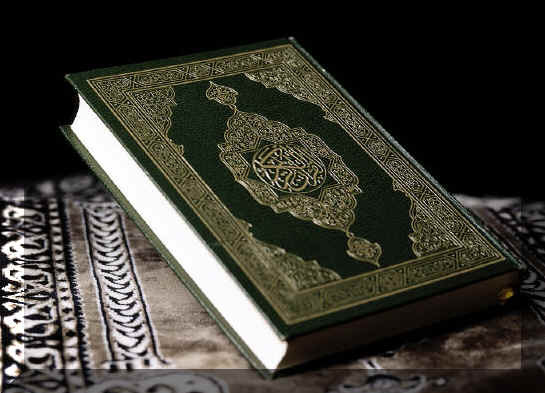 Sura 6.21 – It is unjust to interpret Quran wrongly. Sura 7.51 – Take Islam seriously – or be forsaken. Sura 8.39 – Fight them (infidels) until they are no more. Sura 8.69 – Enjoy the spoils of war. Sura 9.3 – Lying to idolaters is allowed. (Takiyya). Sura 9.9 – Infidels are evil. Sura 9.29 – Muslims are superior. Subject infidels. Sura 9.52 – Punishment can be carried out at the hands of the Muslim. Sura 10.21 – Make plans against the Infidels. Prepare. Deceive. Sura 11.27 – Infidels that do not see Muslims as superior are liars. Sura 14.13 – Drive non-Muslims out of Muslim lands. Sura 14.14 – Imperialism OK – Muslims to settle in the land of the Infidels. Sura 23.34 – Obedience to a mortal, not Allah, makes a Muslim a loser. Sura 24.52 – Strive (fight – jihad) against infidels to the death. Do not obey non-believers. Sura 32.18 – Believer and infidel are not equal. Sura 33.21 – Muhammad is to be the example to follow. Sura 47.4 – In battle, behead disbelievers, make them prisoners, set them free for ransom. Sura 47.34 – No forgiveness for those that hinder Islam’s progress. They are the aggressors. Sura 49.11 – No humor is Islam. Sura 60.4 – Hatred towards the infidel forever until belief is in Allah alone. This summary from the Quran provides a basis to consider the laws of Islam. There are parts of Sharia not in the Quran, such as the 5 Pillars, or praying 5 times each day. Another read relied upon for Islamic Law is The Reliance of the Traveller (a standard Islamic legal reference). Just from those verses noted (and many more could be included) there is no let up in enmity towards non-Muslims. The call is to fight, fight, fight. War dominates. Hatred prevails. Persecution of any kind, even expressing doubts as to the ideology, being critical, or sharing one’s faith (proselytizing) is a trigger for the heart hardened by hatred, over and over, and thus reactions of a violent nature, as punishment to be served, as would the example Muhammad, is allowed. This speaks more of a demon than a god, in my view. ← Why Can’t Islamists Be Happy? (1 of 5) – To Muslims in the EU, America & other Free societies. You can now find the answer.